These great cards from Polly Ely at The Lab Method offer a new kind of talk to use for those tough parenting moments. Each card presents a sticky situation or scenario you find yourself in daily with your kids and offers a compassionate, yet straight-forward script to help you and your child through these difficult moments while building lasting connections. Finally a no nonsense alternative to pleading, bribing or blowing your cool. 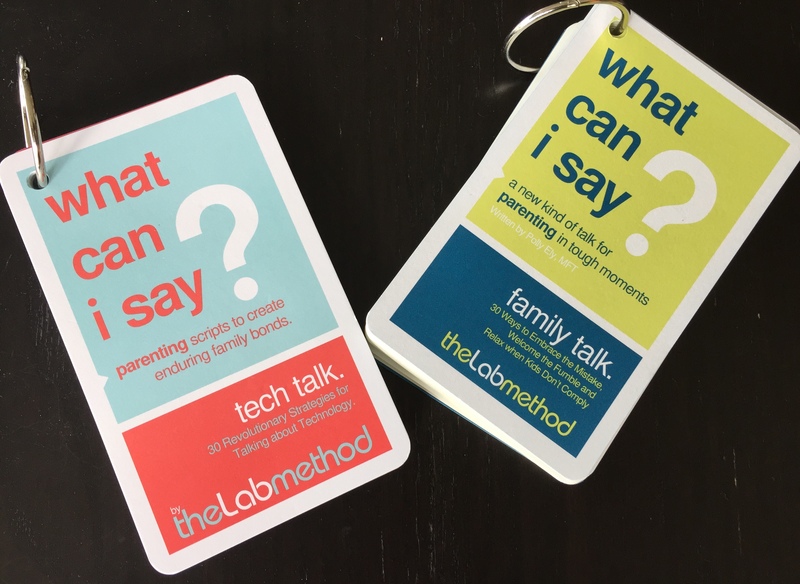 We now have a copy of The Lab Method’s Family Talk and Tech Talk cards in our Wade Thomas Parent Library.